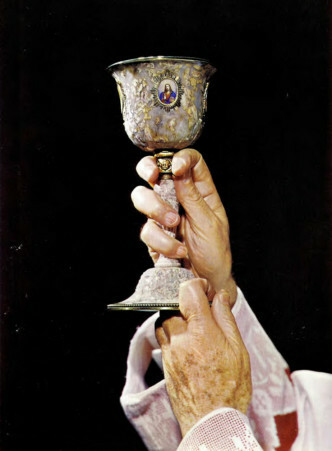 Tota pulchra et pretiosa – Page 2 – I komu to przeszkadzało? 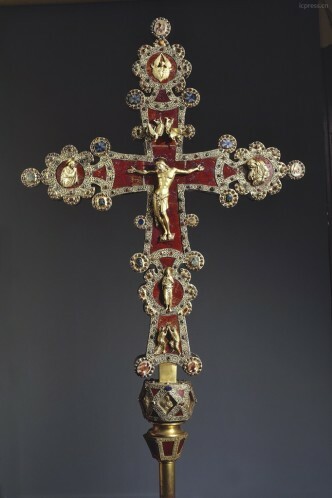 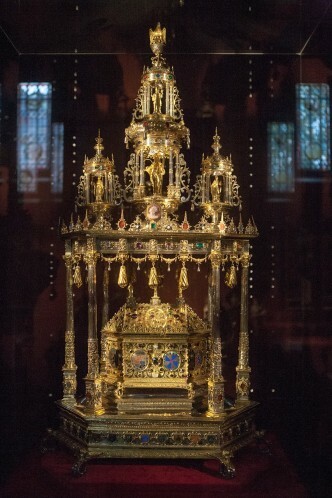 A part of the exhibition Treasure of the Holy Sepulchre. 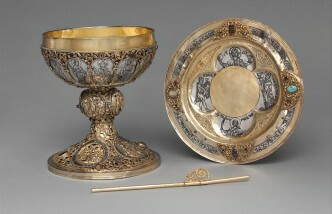 Gifts from European royal courts to Jerusalem. 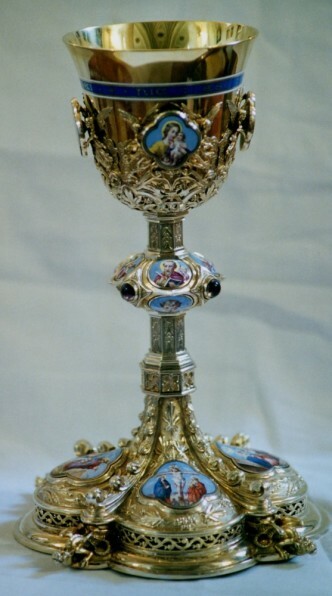 The chalice of Archbishop Fulton Sheen made of jasper by the famous goldsmith workshop of the Keibel family in St. Petersburg. 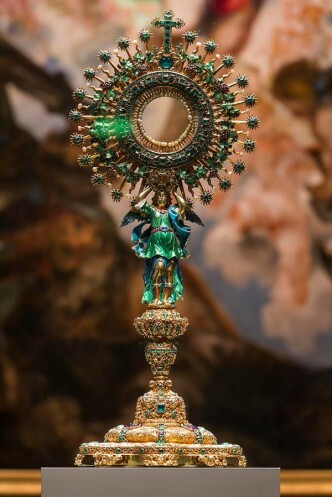 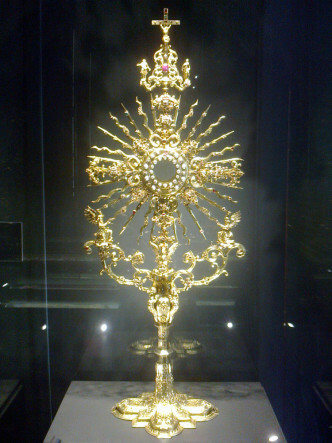 The monstrance from the 2nd quarter of the 17th century from the treasury of the Dominican monastery in Lublin [photo by IKTP]. 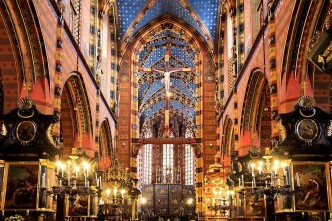 The interior of the Archpresbyterial Church of Our Lady Assumed into Heaven in Cracow. 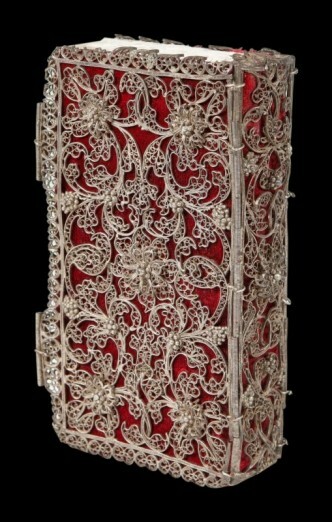 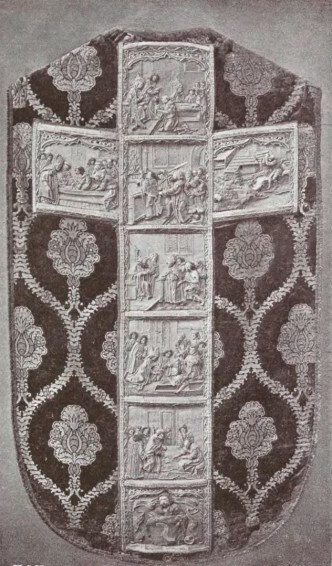 The cover of the Book of the Gospels from the 17th century, Basilica of St. Nicholas, Bari [the source]. 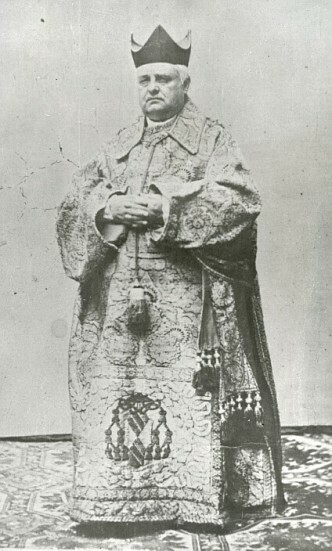 A rose pluviale, i.e. 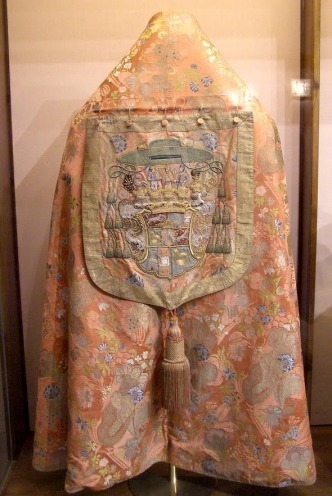 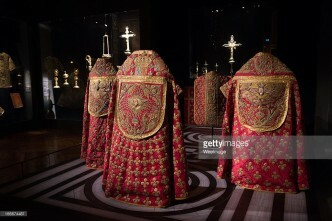 the cope from the Klosterneuburg Abbey of the Augustinian Canons. 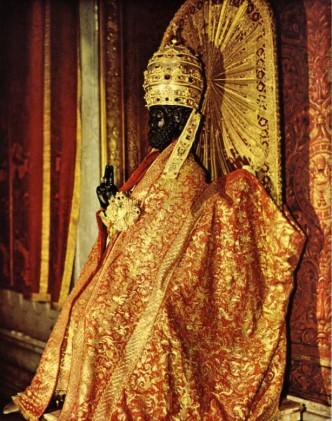 What a tassel! 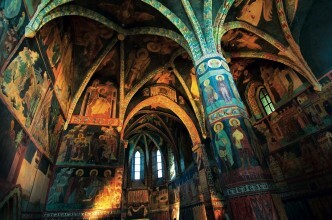 Holy Trinity Chapel in Lublin [photo by Jacenty Dędek]. 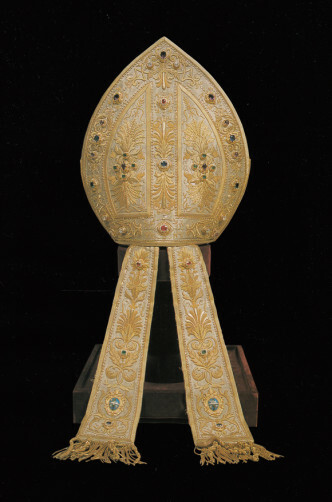 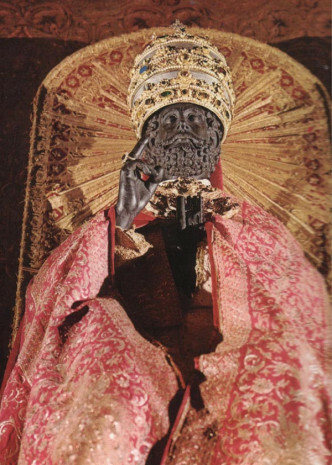 The precious mitre (praetiosa) presented to Pope Leo XIII by Kaiser Wilhelm I Hohenzollern [the source: The Saint Bede Studio Blog]. 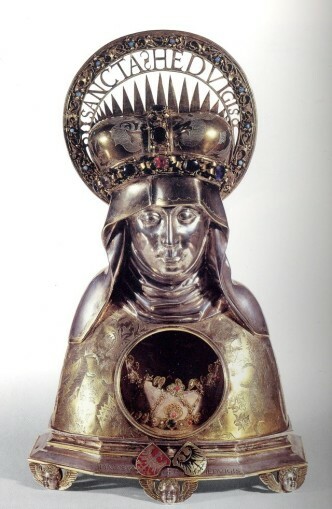 Reliquary Bust of St. Hedwig of Silesia founded in 1512 r. by the collegiate chapter of the Holy Cross in Wrocław. 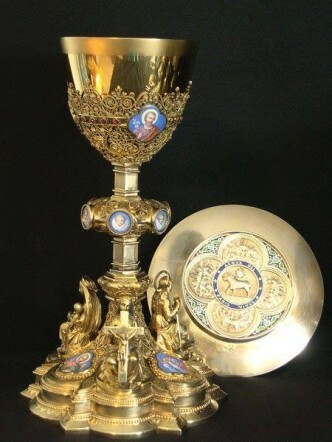 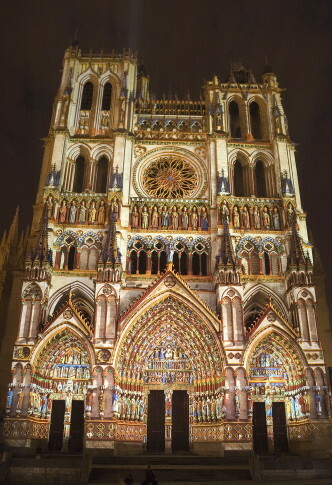 This are not a vessels made according to the principle of “noble simplicity”. 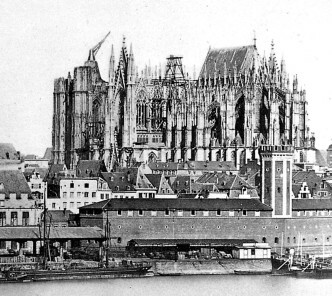 High Cathedral of St. Peter in Cologne during construction work in 1856.